Cocktail recipes are essential if you want to create drinks that consistently have the flavors you enjoy. There is certainly no shortage of recipes for great cocktails. In fact, there are multiple variations of many standard recipes. Each evolved to fit someone's personal taste. Sometimes the change was slight, such as choosing a particular brand of alcohol to include or going with a different garnish as a way to affect the flavor of the drink. In other cases, an adventurous choice resulted in a brand new beverage. 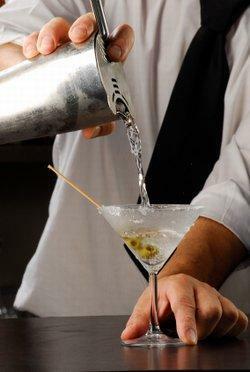 For example, a fictitious drink in a popular spy novel led to the vodka martini revolution and all its many varieties today. Just imagine what might be next. That's the wonderful thing about cocktails recipes. You can follow them to the letter for reliability, or you can experiment with ratios and ingredients; nothing is written in stone. The only thing that matters is whether the final outcome is an enjoyable beverage. If you have used quality ingredients and created something delicious, you have done your job well. In this ever-growing category, you'll find recipes for many contemporary cocktails as well as many old stand-bys and even some non-alcoholic alternatives. Some of these drinks will be quite familiar to you, while others may intrigue you enough to give them a try. You never know when you'll find a new favorite, so try mixing up a drink you've never had before. If you don't care for it, cross that drink off your list. Nothing ventured, nothing gained. Be sure to check back often to see what's new as more recipes are added to this category. You never know when the next "hot" cocktail will be invented.